01.09.2016. Old Trafford, Manchester, England. Specsavers County Championship. Lancashire versus Somerset. 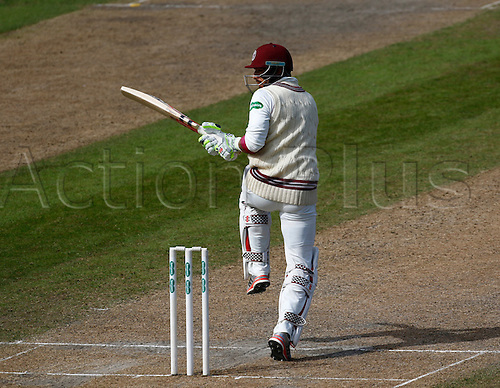 Somerset's Peter Trego reaches his 150 as Somerset declare their first innings at 553-8, with Trego on 154 not out.